The Arizona Nurses Association (AzNA) is a statewide membership-based professional association of licensed nurses. Founded in 1919, AzNA is the oldest and largest nursing association in Arizona. Our members represent all segments of nursing practice, bedside to administration, consulting to advanced practice, and education to legislation. AzNA members come from all practice settings: hospital, home and community health, public health, higher education, long-term care, school health, and policy. 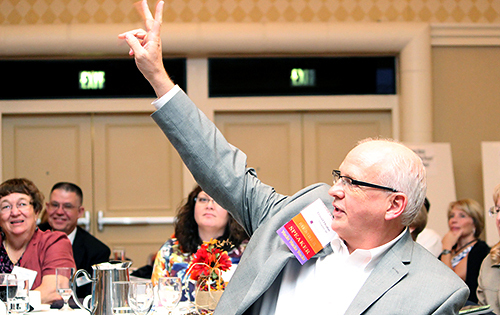 As diverse as they are, AzNA members share a common purpose: Advancing excellence in nursing. It's a pursuit that requires commitment, involvement, and leadership - fortunately, these are inherent traits of nurses. AzNA is not a union. We are a voluntary organization that works with everyone to get good things accomplished for nurses and their patients. Every member is encouraged to get involved. All membership meets in odd-numbered years at Convention, usually held in the fall. Implementation of resolutions and bylaws amendments adopted at Convention is overseen by AzNA's elected Board of Directors and carried out by the more than 90 members who serve on AzNA committees, task forces and ad hoc groups, or who represent AzNA to other statewide professional organizations, or as appointees to committees and task forces of other groups such as the Arizona State Board of Nursing and the Arizona Action Coalition. The AzNA membership also elects delegates to represent it at the American Nurses Association's (ANA) Membership Assembly.